Beyond a host of national acts, the week boasted crowd-pleasing local shows by The Concussions, Kaitlin Rose, The Moxie Strings, Nathan Walton and more. Browse photos and video snippets exclusively at Local Spins. The inaugural Benton Harbor festival offers up three two-set shows from national touring acts, showcases local artisans and more on Saturday at Lake Michigan College. Get the lowdown and schedule at Local Spins, plus view videos of the featured acts. 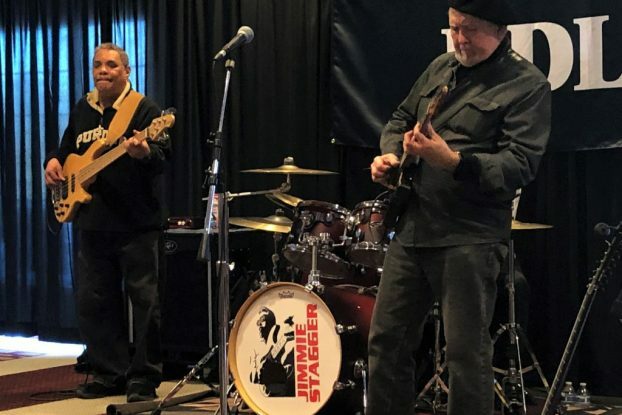 The 10th annual fundraiser for the Wheatland Music Organization will take over The Intersection on Jan. 12 with a host of rootsy bands and the reunion of The Hill People. Check out the lineup, see the full schedule at Local Spins. With the Celtic festival unfurling this weekend in Muskegon, Diana Ladio of Michigan’s The Moxie Strings offers up the Top 5 reasons to attend plus a Top 10 playlist of songs by festival performers. Recorded in front of a live studio audience, this month’s Local Spins segment on Michigan Radio’s “Stateside” showcased two celebrated acts from Grand Rapids and two from Kalamazoo. Listen to the podcast and a Spotify playlist of the featured tracks. 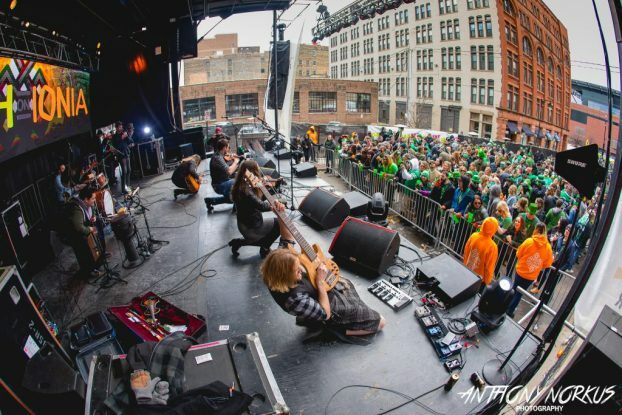 Two of St. Patrick’s Day’s biggest events in Grand Rapids drew euphoric crowds on Saturday. Ogle the images at Local Spins, along with photos and videos from other fan-pleasing West Michigan concerts, from Grand Rapids to Kalamazoo, including Sunday night’s Walk off the Earth show at 20 Monroe Live. Celtic music, of course, can be found everywhere across West Michigan, but there’s also much more: Heaters, Kyle Cook, Nathan Kalish, Protomartyr, Trixy Tang, The Willeys, the christening of a new music venue and a Cowpie Music Festival band battle. Get the complete lowdown on live music via The Big List and see how you can win tickets to Irish on Ionia. An Dro performed for this week’s Local Spins on WYCE, which also debuted local and regional tracks by Luke Winslow King, Mat Churchill, Mark Harrell, Steve Hilger Jazz Quintet, The Bootstrap Boys, Wing Vilma and more. Listen to the podcast, watch the video.